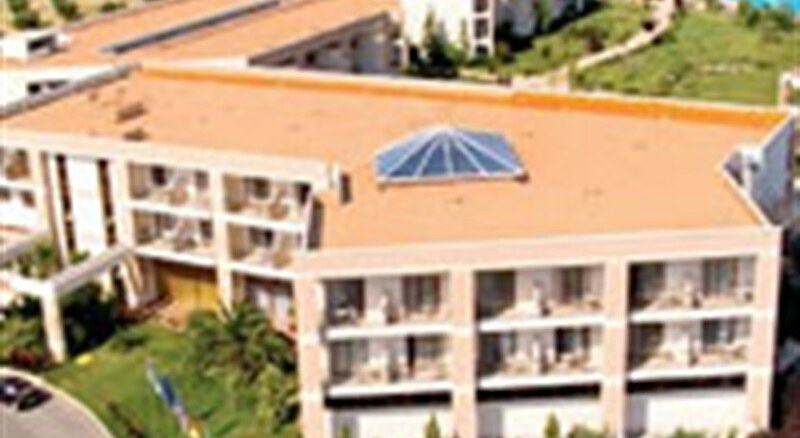 Pomegranate Wellness Spa Hotel in Nea Potidea has 172 rooms, spread over 3 floors. The hotel is located 30 m from the sandy and gravel beach. The closest cities to the hotel are Nea Potidea (1 km) and Nea Moudania (7 km). Other cities: Thessaloniki (75 km). To make your stay more comfortable a hairdresser, a reception, a lobby, air conditioning, a lounge, a mini market, shops, a conference room and an elevator are available. An entertainment program suited for children and a playground are available for young guests. The staff in this 3 storey hotel speaks Italian, Russian, English and French. 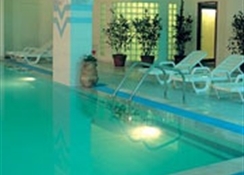 A fresh water swimming pool, seasonally open with a separate children's pool is available. Refreshing drinks are offered at the pool bar. Sunshades and sunbeds are available free of charge at the beach and at the pool. 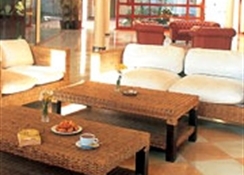 Distance from the hotel to: airport SKG (60 km). The hotel is within easy reach of bus stops, supermarkets, bars and restaurants, city centre, medical services and tourist information. Guests with disabilities are catered for, and the hotel ensures the presence of the following amenities: wheelchair suitable bathrooms, a ramp or level access and wheelchair suitable lift. For your entertainment the hotel features a TV lounge and disco. Vehicles may be parked in the parking lot. Honeymooners are welcome at Pomegranate Wellness Spa Hotel where they can enjoy the dining. Amenities: For convenience the following services are offered: currency exchange, secure entry system, room service, laundry service, a safe, medical care, concierge, wake-up service, babysitting and maid service. This family friendly hotel offers child animation, babysitting service and a children's pool to ensure a comfortable stay for parents as well as young guests. The Hotel offers a conference room. Reception hours: 24h Service. 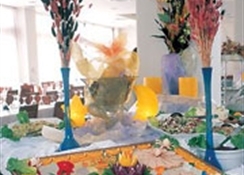 Meals: The breakfast type is Buffet and it is provided from 07:00 - 10:00. The hotel has 3 restaurants. Evenings can be spent at the lobby bar. Sport and Leisure: Activities such as table tennis and animation programmes are offered at the hotel. At Pomegranate Wellness Spa Hotel recreational amenities include a relaxation room, a steam room, a whirlpool, a Turkish bath, massages, a sauna, a spa, a thalasso and a hamam. Guests who wish to be active on holiday can enjoy activities such as exercise in the fitness room, basketball, beach volleyball and tennis. The hotel offers the following , for guests to enjoy (weather and season permitting): evening shows. Additional Information: Payment facilities include American Express, Euro/Master Card, Visa Card and Diners Club. Additional fees may apply for certain facilities, amenities or activities. 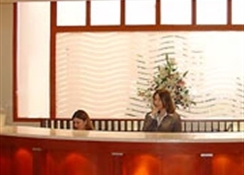 The hotel requires all guests to provide a deposit on arrival. **Upon arrival Pomegranate Wellness Spa Hotel will carry out a pre-authorization of the guest's credit card, for the amount of €300 to ensure there are enough funds to settle their final bill from extra services incurred during their stay (food, beverages, spa services etc). No money will be taken from the guest's credit card but it will show on their statement as a 'Pending Transaction'.